Google Nexus Chromebook to land soon? Seriously? But might not, who can say? In case anyone still cares about Chromebooks, Google might have a new one out before the end of the year. It's not the most thrilling report we've heard of late, but interesting to see that Google may be considering expanding (diluting?) its Nexus range with a notebook. 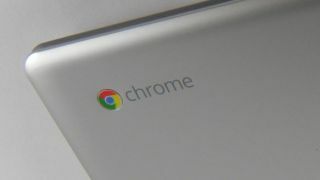 The report comes from the always questionable China Times and its mysterious sources, reckoning that Chinese manufacturer Compal will make the Google-branded Chromebook and ship it by the end of 2012. The timing alone seems suspect as it doesn't leave much time for a launch and the lucrative Christmas shopping season is already in full swing. Not a single bit of hardware-based information was let slip by the source, so we don't know anything specs or much else other than that Google has apparently ordered 20 million of the things. Given the low-cost approach Google's taken with its Google Nexus 4 smartphone and Google Nexus 10 tablets, we'd expect to see a Google Nexus Chromebook come in at the cheaper end of the price spectrum, if it even exists.